Over our 40 years in the crane business we have become leaders in our field. We can provide the most economical and efficient service for your project. 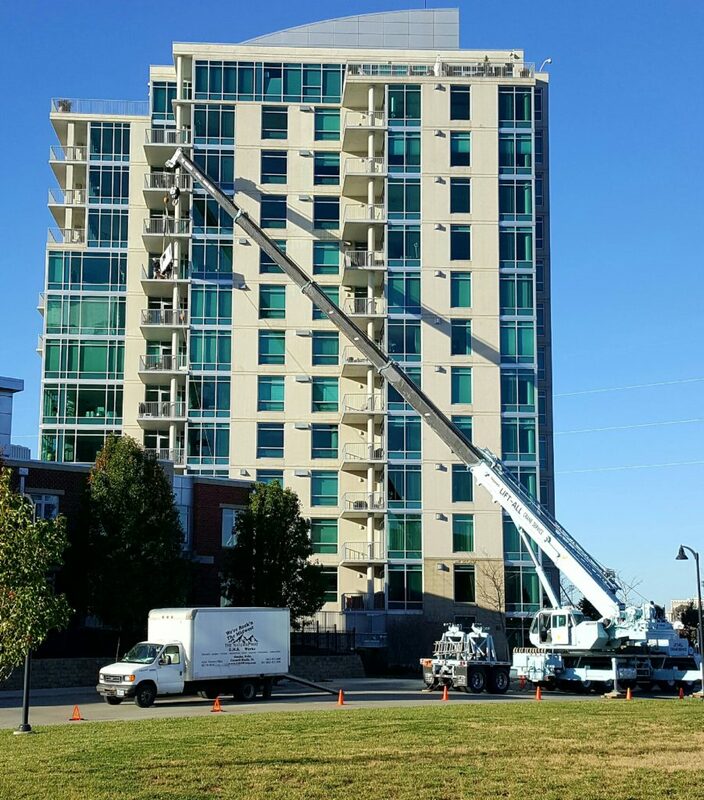 From the smallest of projects to the very largest, we have a crane and crew that can get the job done. We have crane sizes ranging from a 12 ton up to 120 tons. Our equipment is second to none. As everyone knows, equipment is only as good as the operator behind the controls. Our operators have decades of experience. They are certified by NCCCO, qualified signal persons and riggers. We also have the ability to produce computer generated lift plans. These will satisfy requirements from a growing number of general contractors and safety officers. When you call Lift-All Crane you will talk to a live person. If you need an estimate on crane rental, we can help. Whether it is over the phone or onsite job consultation, we can assist you with pricing. We pride ourselves on being able to dispatch a crane at a moment’s notice. Being on time is something we strive for; Keeping your project on schedule. Crane service from 12 to 120 tons.